If you have been injured at work as a result of not being provided with the correct personal protective equipment (PPE), or from being provided with inadequate PPE, you could be entitled to claim compensation against your employer. In the UK, employers are required to take steps to protect their employees from potential risks of accidents and injuries. This duty of care includes the provision of suitable personal protective equipment to workers who operate in potentially hazardous conditions. Employers should also conduct risk assessments of the workplace to highlight possible risks and implement measures to eliminate or minimise them. If an employer has failed in their duty of care to provide workers with suitable protective equipment, and this subsequently results in an employee sustaining an injury that should have been avoided, a personal injury claim is likely to be possible. If you have suffered an injury at work and feel that it could have been prevented had you had the correct PPE, contact our solicitors today to find out if you have a valid claim. We provide a completely free case assessment service, where we will discuss the circumstances of your accident and advise you on your legal right to compensation. The use of PPE may be required for a multitude of different job roles and across many industries. In particular, you are likely to see the use of various protective equipment on building sites, factories, warehouses and laboratories. However, according to the Regulations, PPE must only be used in situations where other means of reducing or controlling potential risks cannot be adopted. In other words, PPE must be considered as a measure of last resort. Approximately 9,000 PPE-related accidents are reported every year according to research conducted by RIDDOR. The most common injuries are those relating to the use of hand, arm and foot protection, followed by PPE for the eyes and face. It is the duty of your employer to provide you with suitable personal protective equipment if risk assessments indicate that there is a need to protect your health and safety from potential risks. Before resorting to PPE, an employer should first take all reasonable steps to remove or minimise these risks. If more than one item of PPE needs to be used at the same time, your employer should ensure that they are compatible. For example, a dust mark may not work properly if the seal is disturbed by the user also wearing certain safety goggles. Provide employees with sufficient training on how to use PPE, including why it is needed, when it should be worn and if there are any limitations. Ensure equipment is maintained in good condition and stored appropriately to prevent damage that could minimise the effectiveness of the equipment. Health and safety laws place strict requirements on employers, but employees must also share responsibility for their safety by ensuring that they follow instructions, use the PPE provided and bring any defects to the attention of their employer. 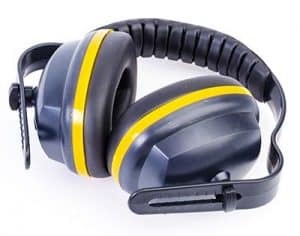 For further information and advise on the use of PPE at work and the duties of employers, have a read of the handy guide produced by the Health and Safety Executive (HSE) here. 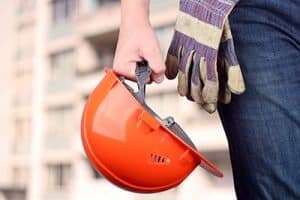 If your employer has failed to provide you with adequate personal protective equipment and you have sustained an injury or illness as a result, you may have a valid claim for compensation. 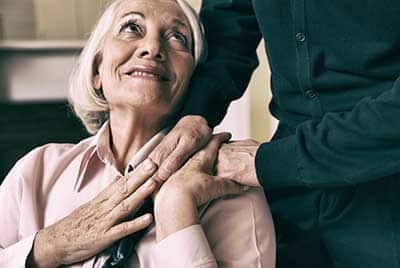 At InjuryClaims.co.uk, we have experienced personal injury solicitors who have helped thousands of people across the UK recover compensation for the injuries they have suffered at work. We provide a No Win No Fee service, which means there is no financial risk to you if you aren’t successful in winning your claim. It also enables you to get your claim underway without having to worry about paying any upfront costs. If you would like to find out more information about the service we offer, or to find out if you are eligible to make a claim, please request a callback today. We will call you back to arrange a free claim assessment, which is provided to you without any cost or obligation to proceed further. If you have a valid claim, we will handle your case on your behalf and help you obtain the highest level of compensation that you are entitled to.